Royalé Touché luxury laminates offers some of India’s finest high pressure and compact laminates. It delivers better finishes, better flexibility and better designs. With our luxury laminates, our endeavor is to bring newness and positive change to everyday life. Your bedroom is your most private and the most important space in your home, a place where you can laze, sleep, work, relax, watch TV, have a drink, huddle with your family and more. Our wide collection of bedroom furniture of varying styles, designs and themes offers you the right choices for every member of the family. Your office is the most important place where you spend the largest part of your adult life. We at Boss’s Cabin create work spaces with this in mind. Choose from our vast collection of thoughtfully designed office tables, work desks and office chairs in various styles and sizes to best suit your functional and aesthetic needs. We would like to introduce ourselves as manufacturers of fiberglass designer planters known by the brand name “CREDO”- a product which is not only aesthetically beautiful and pleasing to look at but also light weight and durable, almost unbreakable. 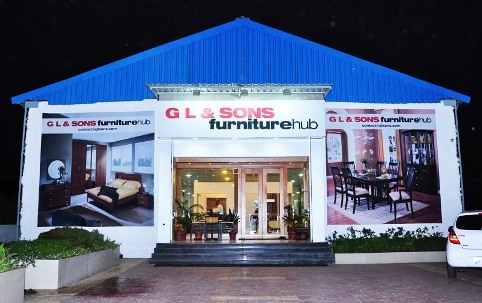 © Copyright 2018 - G L & Sons, Aurangabad. Designed by KSoft Solution.